Coral reefs are actually the accumulated skeletons of millions of tiny sea organisms. These minute creatures, which live in colonies on top of one another, form exoskeletons of calcium carbonate. When the exoskeletons break down as a result of wave action or other natural forces, the remains fill in gaps in other exoskeletons, forming a hard, solid base upon which yet more organisms grow. 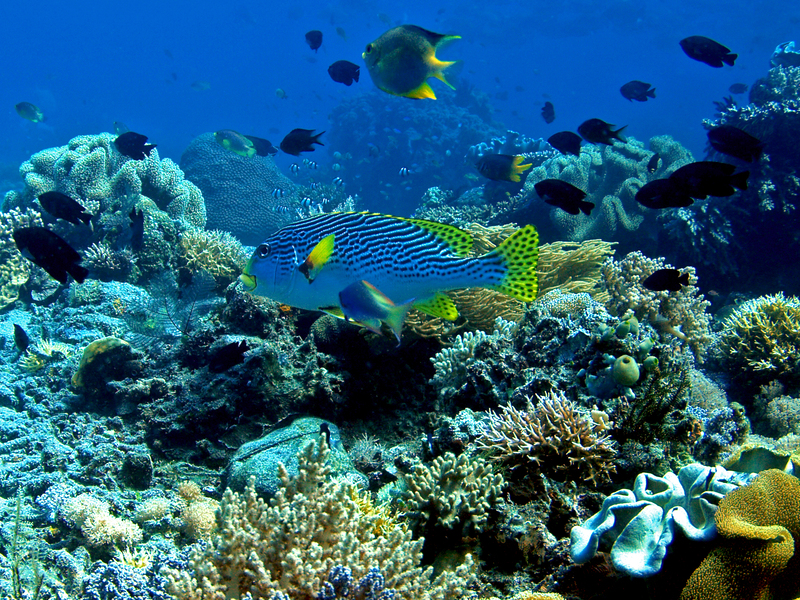 Over thousands of years, reefs develop in the shallow water that nurtures organisms necessary to the coral’s growth. A coral head is an isolated colony of a single type of minute organism growing, again, all on top of each other’s exoskeletons over a period of thousands of years. In shallow waters such as certain areas of the Bahamas, a sailor must be alert to these lone coral heads which can damage or destroy the hull of a boat. The coral heads appear as dark, rock-like spots under the water. A sailor learns to keep a sharp look-out for these spots! 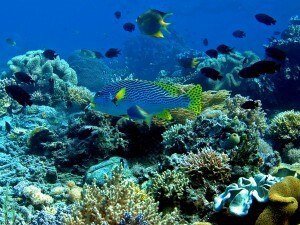 Coral reefs are visible from above clear water. Click on the image for a larger version.